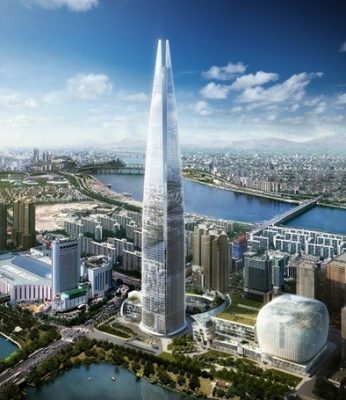 After a high profile global design competition PENSON have been appointed to design interiors of 33 floors of LOTTE World Tower – the 5th tallest building in the world to be. With 123-floors, once completed, it will be taller than The Shard and Gherkin put together and will contain retail outlets, offices, residences and a luxury hotel. PENSON delivered the perfect design proposal in less than 4 weeks and were told that their fresh European approach and ability to deliver on time was exactly what they were after. 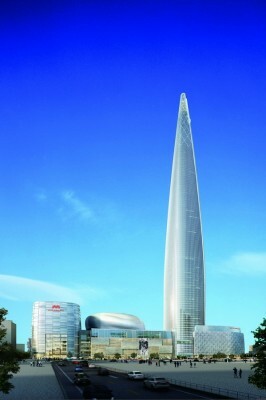 With a £4 billion turnover LOTTE Co., Ltd. is Korea’s eighth largest business conglomerate. They stressed the importance of bringing fast paced Western dynamics into systemic Eastern way and wanted the design of World Tower to allow Western and Eastern cultures co-exist while keeping authentic features specific to each culture. PENSON are bringing cutting edge European ethos into the heart of South Korea by introducing iconic Asian elements into modern timeless design.